From Monday 15 April Evans Cycles will be launching its Great Evans Cycles Trade-In initiative, committing to providing customers with up to £100 off a new bike when trading in their old wheels. 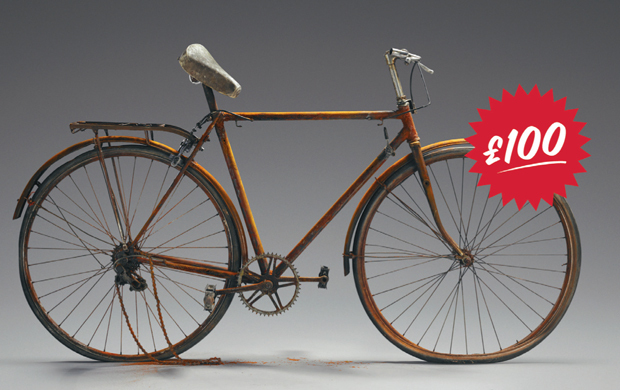 There are an estimated 10 million unused and unloved bikes in Britain that people think are worthless. However, if customers bring those bikes into Evans Cycles, they can save money on a new one. The second hand bikes will then be donated to Bikeworks and other charity partners. Bikeworks are a social enterprise using bicycles and cycling as a tool to tackle social and environmental challenges at a community level. Last year, Evans Cycles donated 1,200 bikes to Bikeworks through the Trade-In scheme; all bikes are then examined and refurbished by trained mechanics at Bikeworks. They are then either sold to raise money for social projects or contributed to various community organisations. Bikes that don’t make the cut and are deemed unsafe are stripped for parts and recycled accordingly. Now in its second year, Evans Cycles hopes to improve on its success of 2012 by doubling its money offincentive and hopefully increasing on the bikes that were donated. Through the Great Evans Cycles Trade-In, Evans Cycles wishes to encourage even more cyclist across all levels back onto their bikes through the Trade-In scheme. Whether they are existing or lapsed cyclists looking to upgrade as the season starts or (through Bikeworks), first time, disabled or ‘at risk groups’ with health problems. When participating in the Trade In, customers will save £30 offa bike costing £200–£400, £50 offa bike costing £400–£600, £80 offa bike £600–£1000 or £100 offa bike over £1000.